Course tutor Zoë Booth will be joined by Rachael Buxton, course accompanist, to welcome you to an exclusive Flutes at the Barns - limited to just eleven participants - in July 2019. After a tasty supper, course activities will begin with a short introductory group session. On Tuesday morning the full range of activities will commence, with up to five sessions each day featuring a varied programme including an individual half-hour lesson with Zoë for every participant, a private half-hour rehearsal with Rachael Buxton, group sessions including workshops on repertoire, technique, interpretation and ensemble playing, small ensemble playing (some with coaching), and the chance to perform in informal participant concerts and/or a masterclass. Zoë and Rachael will also perform in an exclusive tutor concert. The course will conclude with a friendly and supportive concert, during which participants may choose to perform solos, ensemble pieces, in flute choir or simply enjoy supporting their fellow performers. Flutes at the Barns is delighted to host a visit from All Flutes Plus, a specialist flute shop based in Warren Street, London, who will provide the chance to browse music, accessories and to try head-joints and flutes of all sizes. The venue for Flutes at the Barns July 2019 is a magnificent 17th century former coaching inn, beautifully renovated - within the conditions of the grade II listing - for our private and exclusive use, with luxurious and comfortable ensuite bedrooms for all. 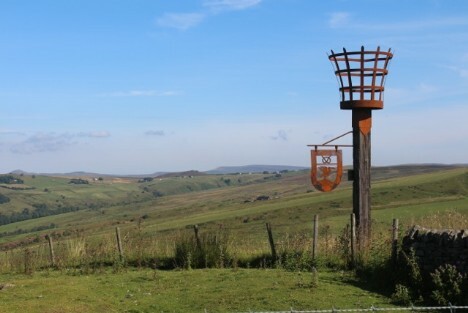 The Inn itself is easy to find, located in Thorncliffe and overlooking the stunning Roaches ridge of the Peak District in Staffordshire, north UK. Once inside, the modern facilities are combined with historic characterful details, linking back to the property’s earliest origins in 1653 . The views from the three large lounges’ picture windows are breathtaking - and uninterrupted, as there are no other properties within a mile, making it perfect for our musical use. The former bar area has been preserved in tact, providing a cosy area for seating in small groups (or even playing pub games!) as well as being an additional space - to the three lounge areas - for musical rehearsals. The main dining area can seat everyone around one table, with a wood-burning stove and impressive views as far as Snowdonia on a clear day. There is no shortage of space for music-making in small and large groups, as well as for your individual lessons with Zoë (flute) and Rachael Buxton (piano accompaniment), and during any down-time you might choose to take any of the famous walks from the doorstep to explore the local area, or perhaps enjoy breaks outside in our own large grassed area, should the weather prove favourable. The Mermaid Inn - like the other Flutes at the Barns venues - has been chosen carefully to provide an inspirational backdrop for musical activities and a fun an supportive atmosphere; combined with great food and luxurious ensuite accommodation it is the perfect flute retreat and a FATB favoured venue. £740 (£100 deposit payable upon application, balance due by Monday 13th May 2019). The course fee is inclusive of full-board residential participation, all meals and refreshments. Nearest train stations: Buxton (approximately 20 mins away), Stoke on Trent (approximately 30 mins away) or Macclesfield (approximately 40 mins away). Partners are welcome to accompany flute participants and share their accommodation at a reduced cost of £370, taking full part in all except the musical activities. (Partners are welcome to attend and support their playing partner in any performances during the course.) If making an application with a non-playing partner, please note that the total deposit is £150.